Hot on the heels of the Kawasaki Z650 launch, MCN Senior Road Tester Adam Child is now travelling from Seville to Fuerteventura to ride Ducati’s all-new Multistrada 950. 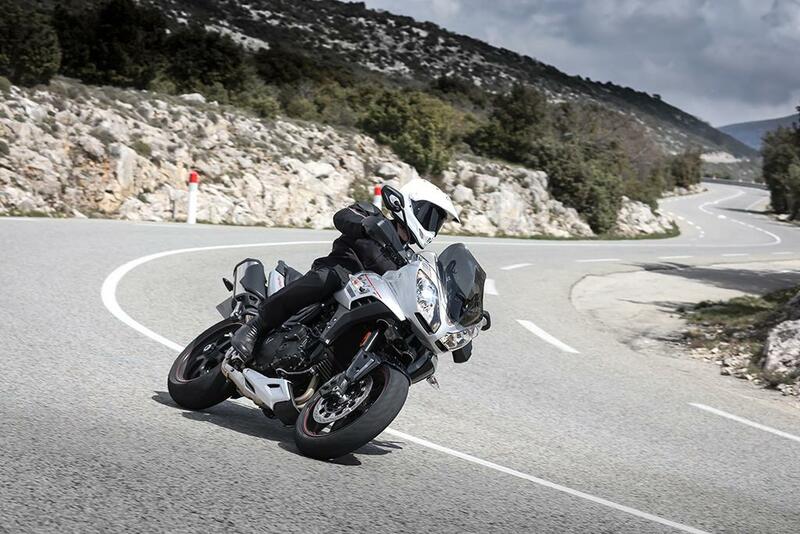 The Multistrada 950 is aimed at riders who want a less intimidating Multistrada, both in terms of size and power – and not forgetting the price tag, with the new 950 starting at £10,995, a whole £2300 cheaper than the base model 1200. The smaller Multistrada mirrors the image of its larger brother, but now comes with a 937cc Testastretta motor kicking out a claimed 113bhp and 70.95ftlb of torque. Service intervals remain impressive at every 9000 miles or 12months. 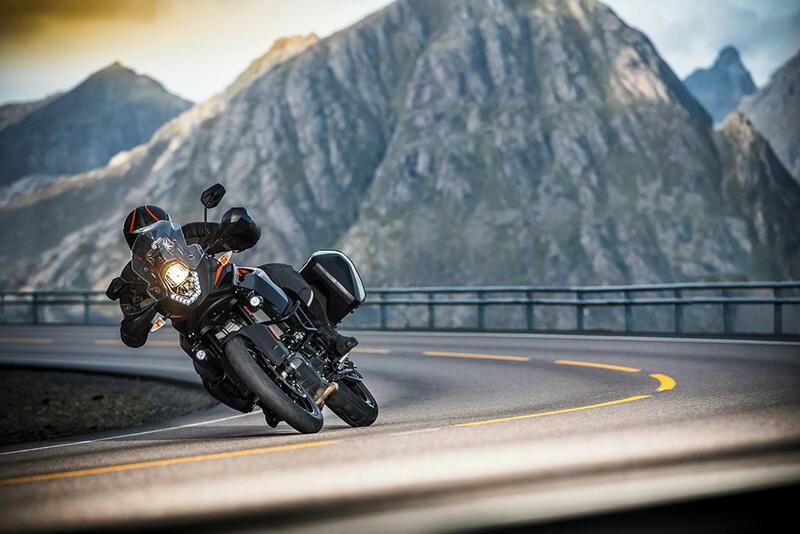 The four rider modes remain as does Ducati’s Safety Pack – which includes three levels of ABS and eight levels of traction control. The rider aids change depending on the selected mode. The conventional suspension is fully adjustable front and rear, with remote pre-load adjustment at the rear. Braking is controlled by Bosch in combination with Brembo, and three levels of ABS come as standard. Pirelli Scorpion Trail tyres are standard fitment, in sizes 120/70 R19 front, and 170/60 R17 rear. Ducati have retained the 19inch front wheel to open up the tyre choices for those who might stray off-road. Check back tomorrow for our Ducati Multistrada first ride impressions – and keep yourself in the know with all our 2017 launches in our 'MCN First Rides' section. Also getting a decent update for 2017, and arriving in standard and XT forms, the V-Twin powered Suzuki has less power and torque than the Multistrada, but the 19inch front wheeled 'Strom is considerably cheaper. 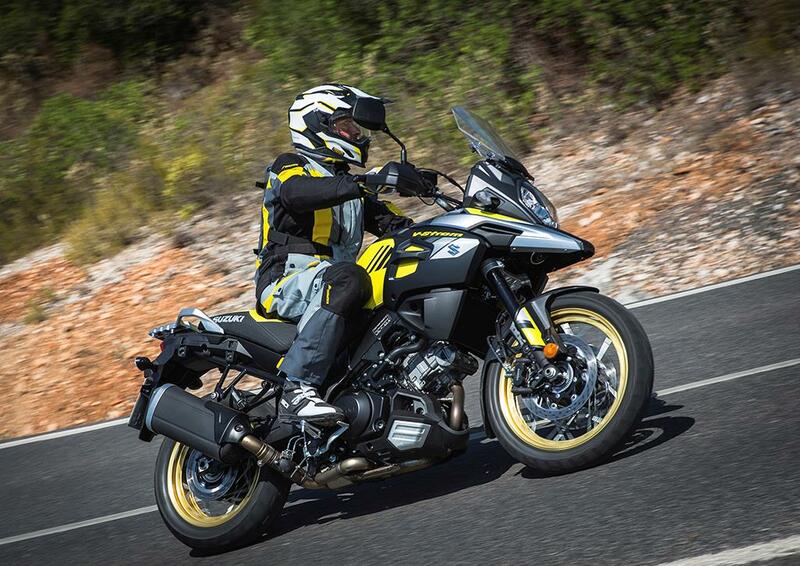 The new 1090 replaces the old 1050 and is yet to be launched, however the spec is interesting in comparision to the Multistrada, with more power (125bhp), a bigger fuel tank, fully adjustable suspension, and a bigger price tag. Updated last year, it's packing more punch than the Ducati and arguably boasts a sportier set-up with its 17inch front wheel, but that will conversely hinder it’s off road credentials.